A local aerospace engineering services company and NASA subcontractor is helping move humanity to the next level of space exploration, once presumed theoretical. 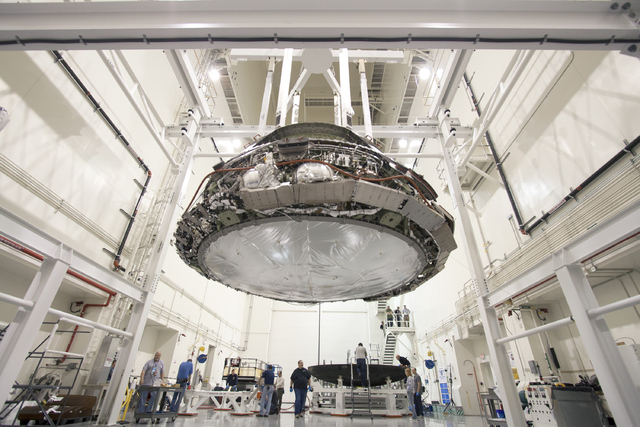 Arcata Associates Inc., working under Lockheed Martin Space Systems Co. on a contraact for NASA, is aiding in the development of the Orion Spacecraft—a multi-purpose crew vehicle. The project is being designed to eventually send astronauts to humanity’s newest frontier: Mars. Arcata, said NASA had its first test flight on Orion at the end of 2014. The test was dubbed Exploration Flight Test 1. On the project, Arcata procured the elements to help put it together. “We do full-cycle acquisition,” said Anthony Ng, executive vice president of Arcata Associates. Ng explained that that Arcata helped engineers source the material, along with acquiring it. The company then delivers the materials, and it is also involved in the acceptance testing of it. 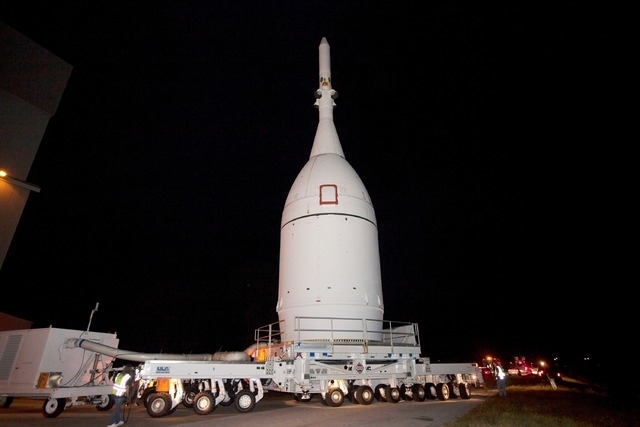 The Orion project is still in the early stages, long before it gets to the Mars mission. Ng couldn’t give exact details on the next stages, as they change quite frequently. But there will be two flights: Exploration Mission 1 and Exploration Mission 2. The first one will go out sometime in 2018 in an unmanned spacecraft, with the second going out sometime after that, if everything goes okay. The final destination: NASA could send a manned mission and go all the way. Arcata has its root in the air, but not in space. 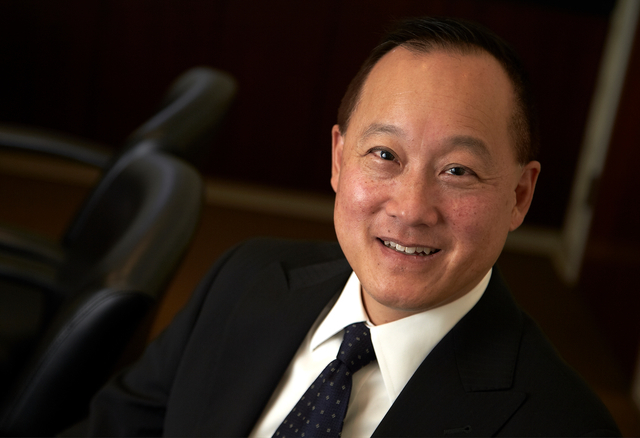 The firm was started by Buck Wong—Tim’s father—in 1979. It found most of its work in the defense space back then. “After the fall of the Berlin Wall, and defense spending was trying to contract significantly, our business dropped,” said Wong. The elder Wong decided to retire in 1993 and left the operation to his son, Tim. The business had definitely dwindled, with half of the staff that the company once had. But Tim Wong pushed on, shifting his goal of going to law school to working in the family business. He already carried a degree in political science. The first act was to gain business. Wong said Arcata won a major contract at Nellis Air Force Base. “At that point, it kind of gave us a base of business to leverage,” said Wong. The next attack was to start looking at other agencies. NASA became a logical target. Arcata is also working on another NASA project — the James Webb Space Telescope. The telescope should be ready to fly around the same time as Orion. This project is set to replace the Hubble Space Telescope. Arcata’s work hasn’t gone unnoticed by NASA. It recently won an award from the space agency, marking them as subcontractor of the year, its fifth award for its work at the Armstrong Flight Research Center at Edwards, Calif., where the company supports aeronautical flight testing. Wong defined testing as telemetry, the information coming to and from the aircraft as it’s in flight and communications with the pilot during flight. Many of the projects Arcata works on are large-scale. But not many in Nevada know the industry exists, said Wong. “I know that the Governor’s Office of Economic Development has raised aerospace defense as a higher priority, in terms of helping to diversify the economy, which I think is a good thing,” said Wong. Tom Wilczek, Governor’s Office of Economic Development’s aerospace and defense industry specialist, said Arcata is an example of an entity that is headquartered in Nevada and grown and matured through the support of federal programs. Wilczek is hoping that the company and others like it will be able to support Nevada, through technical assistance, as it pushes for initiatives in the aerospace defense industry itself with things like drones, or unmanned autonomous vehicles. Arcata’s partnerships in business have also extended into the Las Vegas community. Arcata helps support the International Space Station through the prime contractor, Huntsville, Ala.-based Teledyne Brown Engineering. Arcata introduced several of Teledyne’s senior-level members to representatives of UNLV’s engineering department. The result was a NASA mentor-protégé agreement. The program was started by NASA in 2008 by NASA’s Office of Small Business Programs, which allows NASA prime contractors opportunities to enter into agreements with small businesses and historically black colleges and universities or minority serving institutions under their subcontracting programs. UNLV qualifies as a minority-serving institution. The agreement allows UNLV students to participate in developing multi-media training for International Space Station payload ground support personnel and payload developers. Wong said two students were sent to Marshall Space Flight Center from UNLV, one Asian and one Latino, to serve as interns under the 12-month agreement. Arcata plans to hire them to continue to do work at Marshall Space Flight Center. “It’s a real success story,” said Wong. The defense industry is big business. Wong said there are estimates that the work done at Nellis Air Force Base brings in an estimated $5 billion for the Nevada economy. But the work isn’t always in the state for Arcata. The company supports the Air Force in Utah, the Navy in Southern California and Virginia for the Secretary of Defense. “We have people in seven different states across the country,” said Wong.